Frank shields have developed high-end MRI compatible projectors for working inside the sensitive MRI suites. There are two versions of projects, the wide throw projector that can mount on the wall and the long throw projector, which can be mounted at a far distance from the display wall. The customer can choose the projector based on the layout of the site. 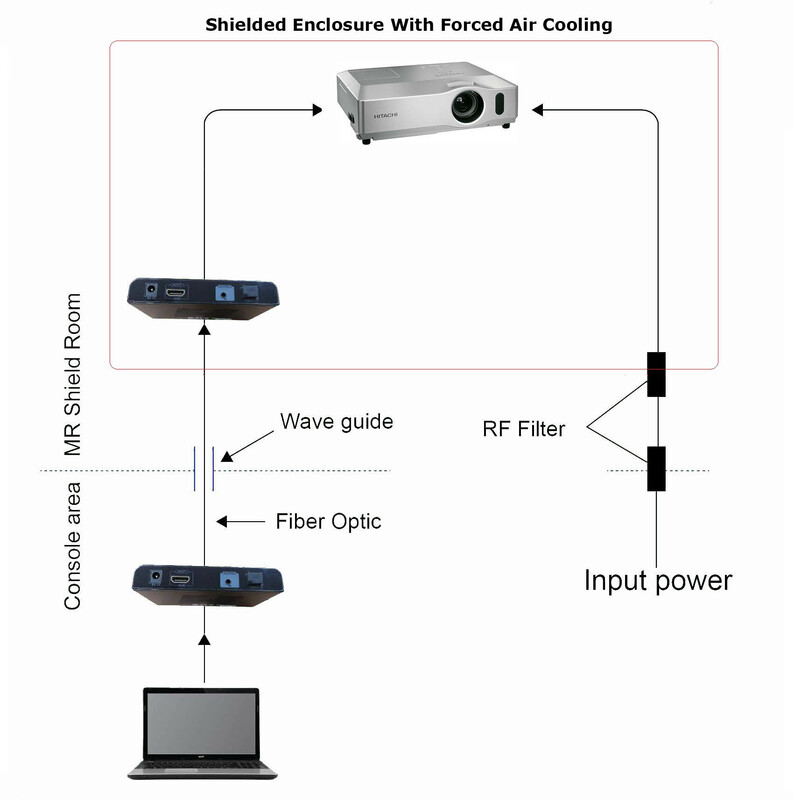 The projector is enclosed in a RF free non-magnetic casing and designed to install at a minimum distance of 2 meter from the magnet iso-center. The projector has a convertor to receive digital voice/video data from a fiber optic cable with in-built power supply and is powered up from the 230 V single phase power supply in the MRI room. An HDMI video/audio input signal is fed to the converter installed in the console room and it drives the fiber optic cable, which is routed through the wave-guide and communicates with the projector. Standard 230-v power cable 2 m with British pin. Power supply for the HDMI converter.